Dubai: Overseas Pakistanis can now avail themselves of variety of banking facilities from paying their utility bills to investing in the stock market back home using the new Non-Resident Pakistani (NRP) Banking service launched by United Bank Limited in Dubai. NRP Banking allows Pakistanis living abroad can even get finances to buy a car or a home in their country while living abroad. “This facility is first of its kind launched by any bank,” Wajahat Hussain, president and CEO of the UBL, told a gathering held in Dubai last week in coordination with the Pakistan Professional Wing. The new service, launched by the Pakistan’s second-largest private bank with 1,300 branches in the country and a heavy presence in the UAE and other GCC countries, is the first comprehensive banking and investment banking solution for NRPs, he added. Hussain explained that the Pakistanis living in the UAE or elsewhere can open an NRP account by visiting any UBL branch in the UAE as they do not have to go to Pakistan for this purpose. 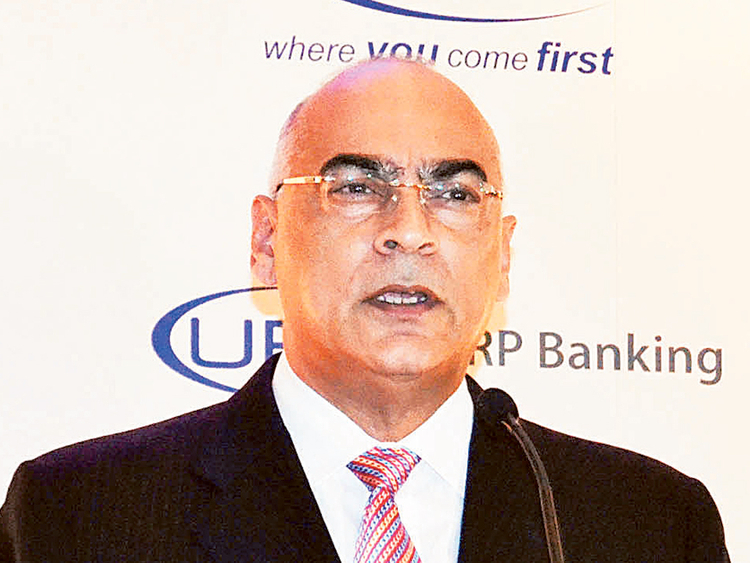 “You can open the NRP account, collect your cheque book, ATM and debit cards from any branch of the UBL in the UAE for your NRP account in Pakistan,” he said. He said that main aim of the NRP account is to serve NRPs as more than eight million Pakistanis live overseas, with the majority of them in the Middle East followed by the US, the UK and Europe. They remitted more than $17 billion (Dh62.4 billion) in 2014 to Pakistan. Of this, an estimated 25 per cent was handled by the UBL. “I am also a NRP and always look for [a] one-window facility like any other Pakistani for my banking and investment needs both in the UAE and in Pakistan. The new NRP Banking will provide variety of services to its customers — from paying utility bills back home to investing in [the] stock market and even [getting] a car and home loans based on their income resources in the UAE,” Hussain said. Maliha Ahmad Khan, head of wealth management and NRP banking in Pakistan, said that customers can open the NRP account with as little as 500 Pakistani rupees (Dh18). “We have extensive branch network in the GCC, Tanzania, China, Switzerland, UK and the US. The new service will bring NRPs closer to their families and make it easier for them to complete their financial transactions,” she said.